Handwoven French grain sack. Circa early 1900s. Two narrow green stripes with wide red center stripe. 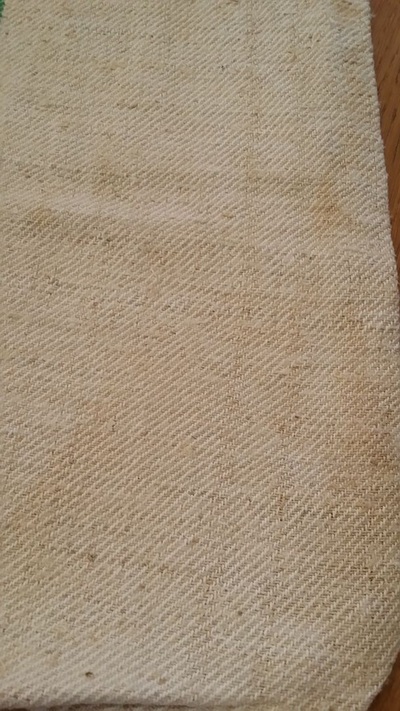 Mid-weight twill textured linen. Extremely durable. Machine washable. 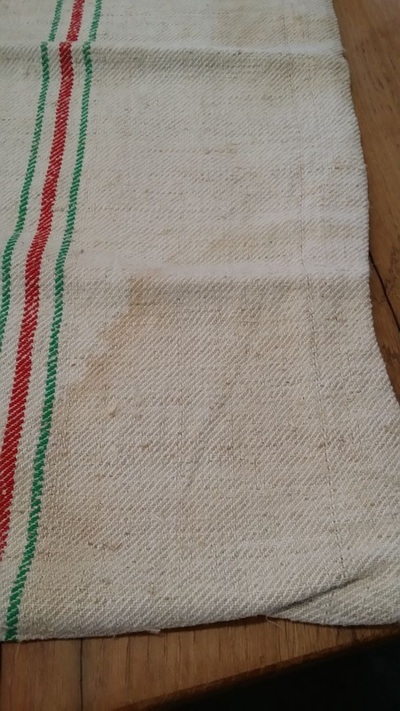 Hand stitched closed at the sides, so can be opened up to become a piece of fabric twice the size, making it perfect for pillows, floor mats, towels, curtains and upholstery projects. We have them available in many different weights, tones, stripe colors and textures. 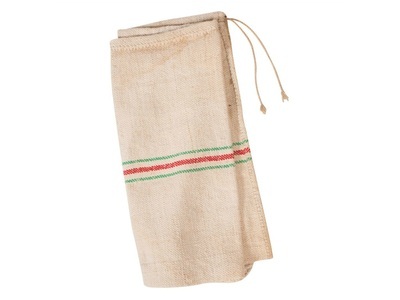 Our linen and hemp grain sacks were hand woven by farm wives from crops grown on the family farm. 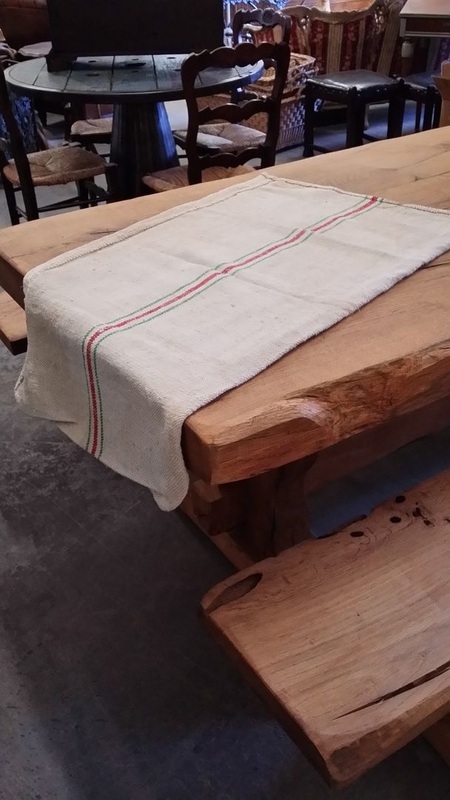 They were intended to be working sacks, so they were built to withstand decades of heavy use. 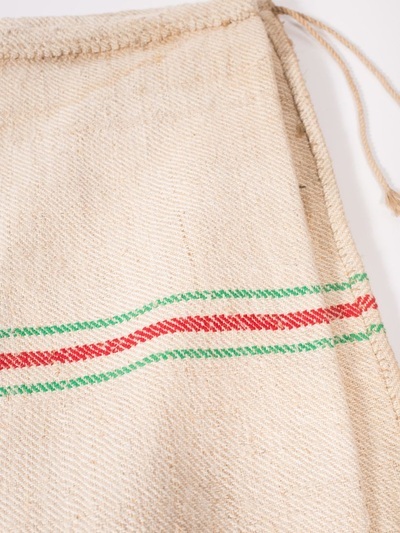 The stripes on the sacks were used to identify the farmer so that when the grain came back from the mill, the sack could be returned to its rightful owner. 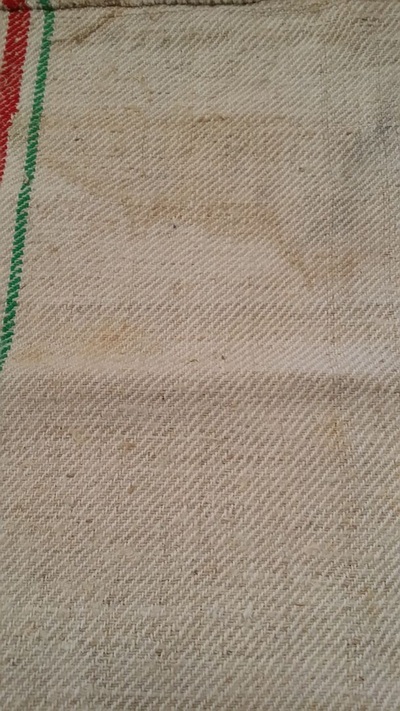 Many sacks bear the initials of the farmers. Shades vary from earthen grey and deep flax tones to bright, almost white, sun bleached linen. 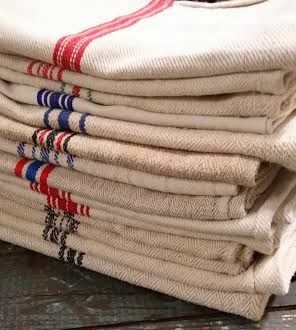 Some are plain, while others feature stripes or banding in a range of colors. 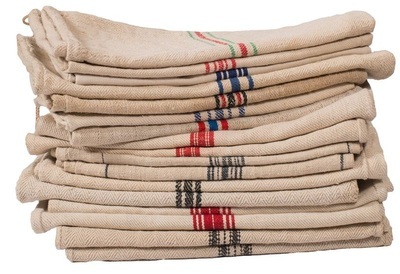 Weaves range from a lovely open, loose weave to finely woven, tight and evenly spaced. Textures range from soft to rough.